Hero HF Deluxe is the first motorcycle from the homegrown brand to be updated. It gets Integrated Braking system with a price hike of Rs 1,000. 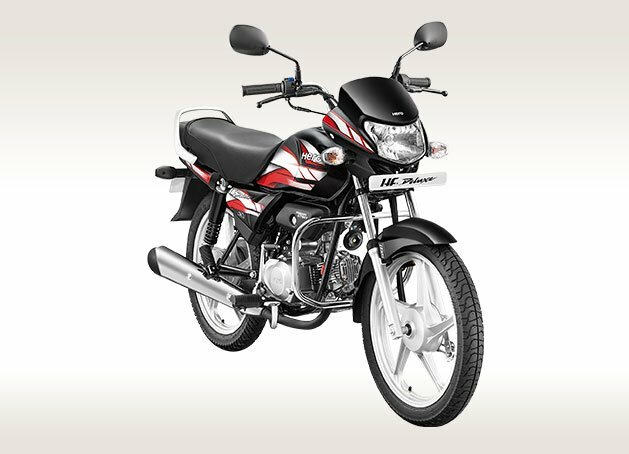 Hero HF Deluxe has been updated with Integrated Braking System to adhere to the upcoming safety regulations. IBS is Hero’s trademark for Combined Braking System. It has been priced at Rs 49,300 (ex-showroom), witnessing a price hike of nearly 1000 bucks off the non-CBS variant. Following this, Hero will update all of its motorcycles under 125cc with ABS very soon. Hero HF Deluxe sports a 130mm drum brake at the front as well as the rear. The non-IBS variant gets a 110mm drum brake at the back. A larger drum brake allows more stopping power to the bike. Other than that, the bike receives no further updates. Hero HF Deluxe continue with the air-cooled 97.2cc engine that puts out 8.36 BHP at 8,000 RPM and 8.05 Nm at 5000 RPM of peak torque. It comes mated to a 4-speed gearbox with constant mesh. The bike follows all gears-down and all-gears up system. It comes equipped with Hero’s i3S technology. If your bike remains idle for more than 5 seconds, the engine is automatically switched off. With the throttle of the accelerator and clutch, the bike resumes again. With this, the fuel efficiency is improved by a certain bit. Hero claims that HF Deluxe will deliver a mileage figure of over 70 kmpl. With a fuel tank capacity of 11 litres, a total riding range of around 700 kms is expected. The top speed achievable on the bike is 87 kmpl. For suspension, Hero HF Deluxe uses telescopic forks at the front and Swing Arm with 2 step adjustable shock absorbers at the back. Based on media and public reviews, HF Deluxe is one of the most comfortable bikes in the segment. Features onboard include side stand indicator, stylised airfoil on guards, maintenance-free battery and halogen headlamps. Hero HF Deluxe competes with the likes of Bajaj Platina, Honda Dream Yuga, Bajaj Discover 100, TVS Radeon and Mahindra Centuro.